I wish we had wall stickers when I was growing up. 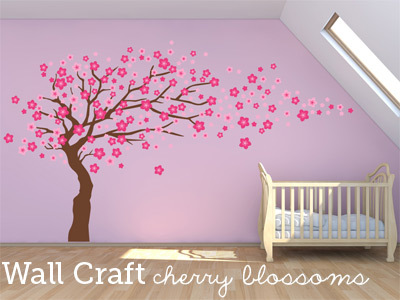 Decals are such an effective and easy way to add art and design to kids' rooms and let their imagination run wild. 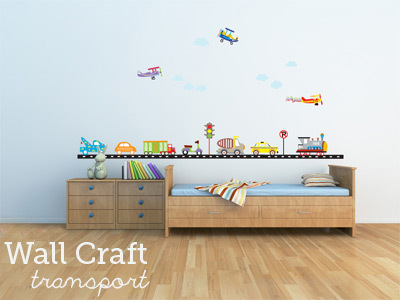 New-style fabric wall stickers are also easy to move and remove; perfect for changing up when interests move on from pirates to racing cars. 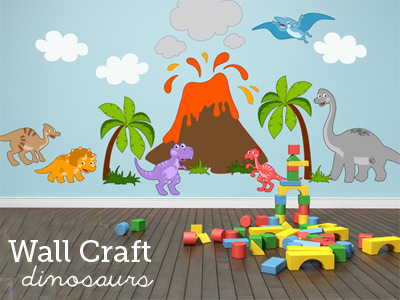 Bondville sponsor Tots n Tales has a great range of Australian-made wall stickers under the Wall Craft brand for both boys and girls and some pretty cool unisex designs too. 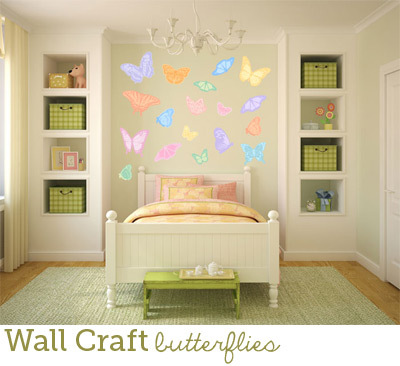 These wall sticker designs are great for kids' bedrooms as well as toy rooms and rumpus rooms. 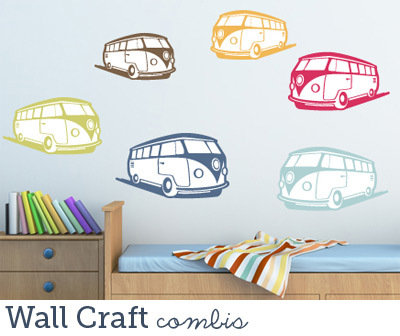 I love the classic lines of the combi vans, and I know two little boys who would go wild for the dinosaur and transport designs. Owls and butterflies are always winners with the girls, and the cherry blossom design is something pretty special. The under-the-sea design would work equally well for both boys and girls and shared rooms. 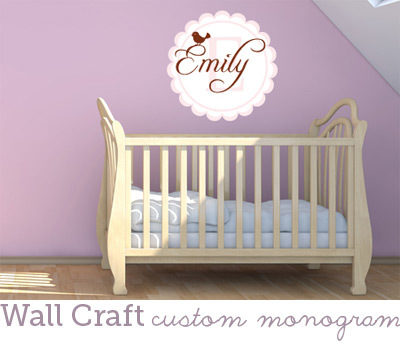 The customised monogram wall decals are a classic, understated addition to a little one's room. 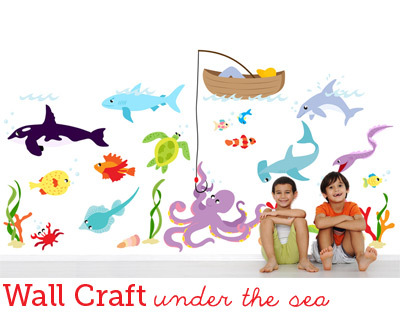 Tots n Tales' Wall Craft wall decals are made from a PVC and BPA-free fabric material and printwd with eco-solvent inks. The stickers are movable, removable and repositionable without damaging walls or paint work. They are suitable for most flat surfaces including cement render, painted brick, glass, wood, tiles, and painted interior walls. 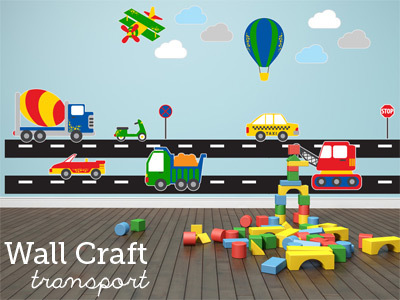 You can find Wall Craft wall stickers at Tots n Tales. I love those Dinosaurs, they are so bright and funky.